The ONLY Marketing Partner You Will Ever Need! Put your Marketing Plan into Action NOW! MORE MARKETING EXPOSURE and OPPORTUNITIES than Ever! The June 2009 issue of LamaLink.com will be mailed out the first week of May 2009! Let us know if you don't receive your copy. or call us at 406-755-5473.
you can also email us at subscriptions@lamalink.com. Get Your Free Adobe Reader Now! LamaLink.com is the only marketing partner your ranch will ever need! Find out more Need a Ride? for fun things to do. Note: These are large files & may take a few minutes to download. If you do not have the software to download the magazine, you can get it for free at- Get Your Free Adobe Reader Now! 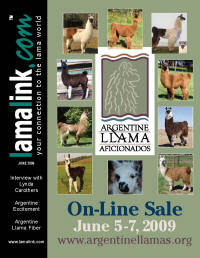 LamaLink.com is THE ONLY MONTHLY LLAMA MAGAZINE. Our Audience is Growing Internationally! Nearly DOUBLE the circulation of any other llama magazine. LamaLink.com has better-than-competitive pricing ! LamaLink.com provides you with current and past issues online, making your ad placement even more effective ! LamaLink.com provides 24/7 HOTLINKS for all advertisers. LamaLink.com, also New Wave Publishing, LLC., is a full service publisher from layout to distribution--satisfying your need for high quality. your need for innovative publishing. 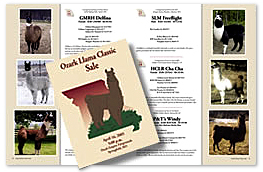 LamaLink.com is a Magazine Publication providing news and timely information to people who have a passion for lamas (llamas): ranchers, hobbyists and those actively involved or who want to be involved in the lama industry. Llama Magazines.